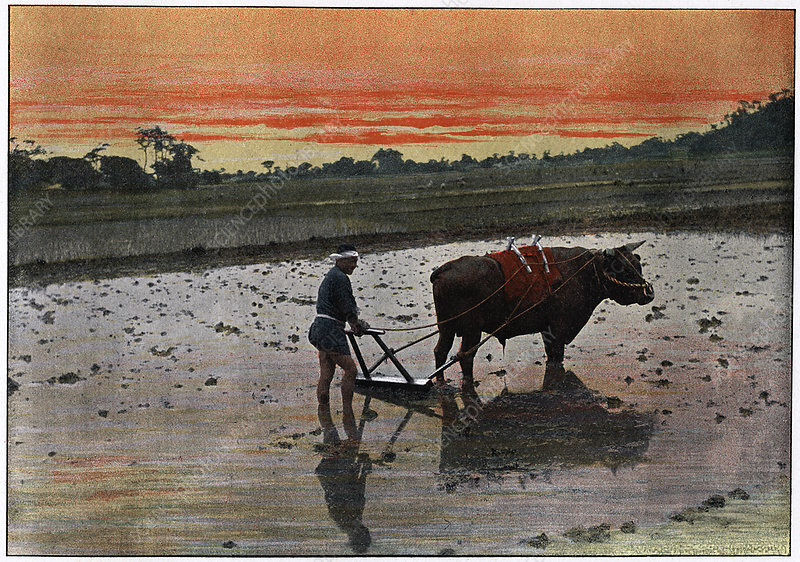 Preparation of a Rice Plantation in Japan', c1890. Illustration from the booklet Japon, Moeurs et Usages, (Paris, c1890). Artist: Charles Gillot.